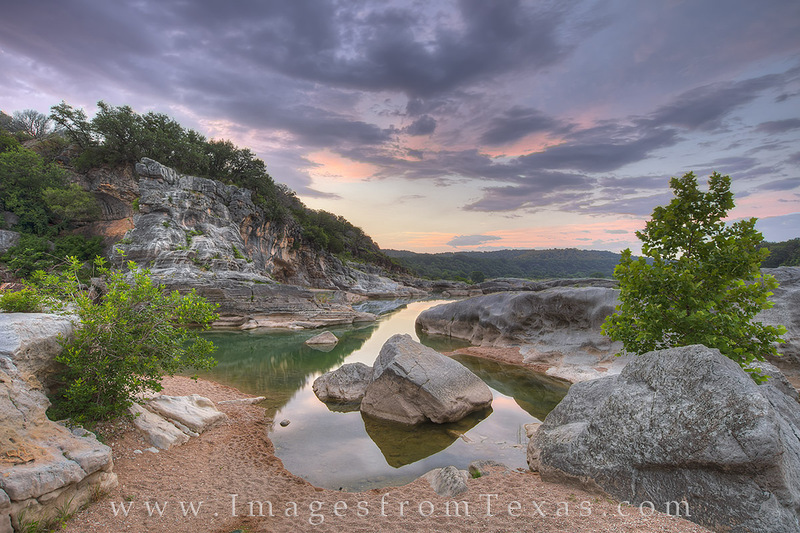 From a small bend in the Pedernales River, this June sunrise in the Texas Hill Country brought pastel shades of purples and pinks. One of my favorite places, this state park is often empty at sunrise, and the quiet is rejunevating to the soul. Photo © copyright by Rob Greebon.